Disneyland With Kids is first and foremost a community. We are a community of Disneyland guests, (past, present and future) helping each other plan magical vacations, giving real life experiences, and sharing their best tips. Disneyland With Kids began as a Facebook group started by four bloggers who love Disneyland, and are also parents. We saw a need for a resource for parents, grandparents, and other adults to plan their Disneyland vacations with kids and get real life tips and experiences. Since then, Disneyland With Kids has joined Instagram, started a Pinterest board, and now, we have a website and newsletter. 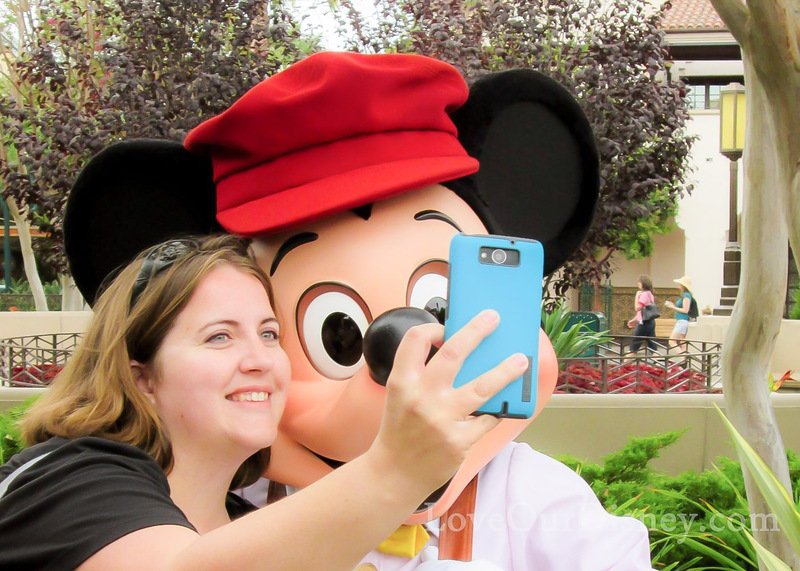 So who are the bloggers behind Disneyland With Kids? Part of what makes Disneyland With Kids so unique is the team of bloggers behind it. Between the four of us we have hundreds of Disneyland related articles, years of experience taking kids of all ages to Disneyland, and experience in most areas of parenting in the parks. From kids with special needs, to nursing babies, and to taking kids of all different ages, we have been there and done that. Leslie Harvey is a mother of two kids, ages 9 and 4, living in the San Francisco Bay Area. Her site, Trips With Tykes, chronicles the joys and challenges of family travel with little ones. 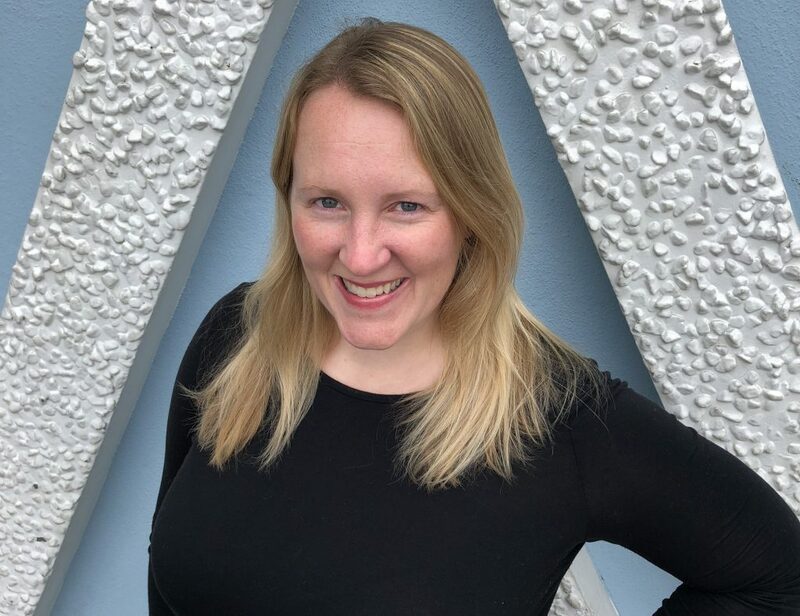 Her work focuses on identifying and overcoming the little logistical challenges of travel with young children that make so many families shy away from it before they even begin. In addition to being an air travel geek, she also has a deep, abiding, and life-long devotion to Disney. Her family makes trips to Disney destinations a focus of many of their travels. They’ve been to Disney World, Disneyland, on a Disney Cruise, to Disney Aulani, and also to Hong Kong Disneyland so far. Leslie visits Disneyland most often with her kids, taking the short flight from Northern California several times a year. Look for her enjoying a churro (her favorite Disneyland snack), dining at Blue Bayou (her favorite Disneyland restaurant), staying at the Disneyland Hotel (her favorite hotel at Disneyland), or riding Pirates of the Caribbean (her favorite Disneyland ride). Becca Robins is a mom too three boys, ages 8 and 3 year-old-twins, and lives in Idaho. Her site This Crazy Adventure Called Life shares all about making family life an adventure, whether on the road or at home. Becca is passionate about making sure families know that adventure and travel should not stop when you have children. She loves to share ways to save money on travel and how to make travel easier with little ones. Becca has been traveling to Disneyland since she was young, but she really fell in love with the park after taking her oldest when he was ten months old. Since then, she has visited multiple times per year, and been an Annual Passholder off and on for seven years. Becca is all about finding the best Disneyland deals so that her family can go more often. Saving often includes driving the 15 hours to the park instead of flying, finding the best hotel deals, and searching for other ways to save on Disneyland vacations. In Disneyland you can find Becca enjoying a Mickey’s Premium Ice Cream Bar (so yummy! ), Riding Big Thunder Mountain Railroad, or sitting out of Star Tours (oh, her stomach!). She often stays offsite but the Disneyland Hotel is still her favorite. Becca runs our Instagram account, organizes our website, and manages our brand relations. If you want to work with Disneyland With Kids, she will be your point of contact. 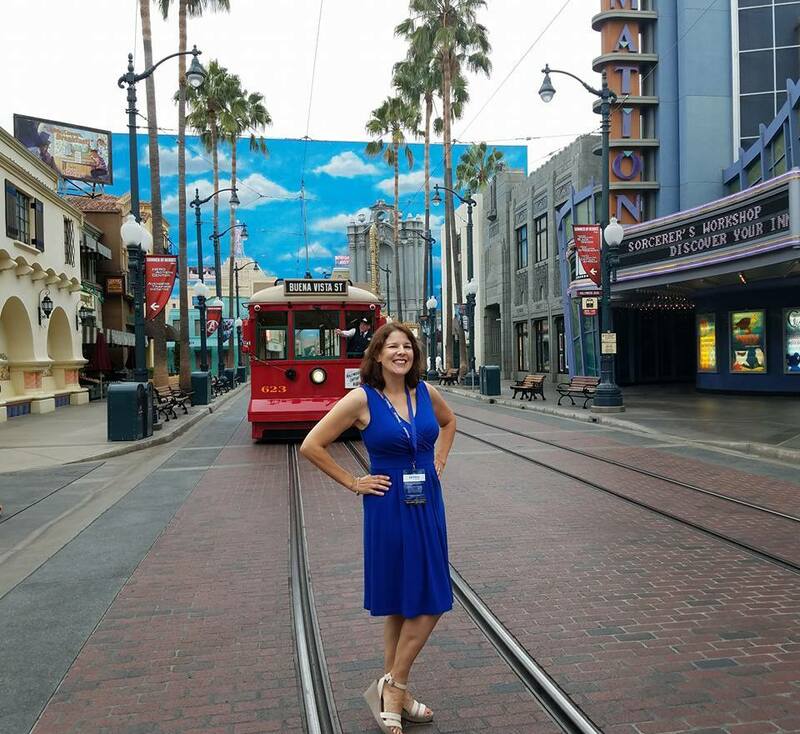 Jessica’s Disneyland expertise has led her to author various Disneyland planning books and create custom Disneyland itineraries for visitors from around the globe. At Disneyland Resort, you can find Jessica riding Guardians of the Galaxy- Mission: BREAKOUT! over and over again. When she’s hungry her go-to spot is Jolly Holiday Bakery for anything sweet and after a long day she likes to call it a night at the Disneyland Hotel. While Disneyland Resort occupies most of her waking hours, Jessica lives for warm summer days and cool ocean air. 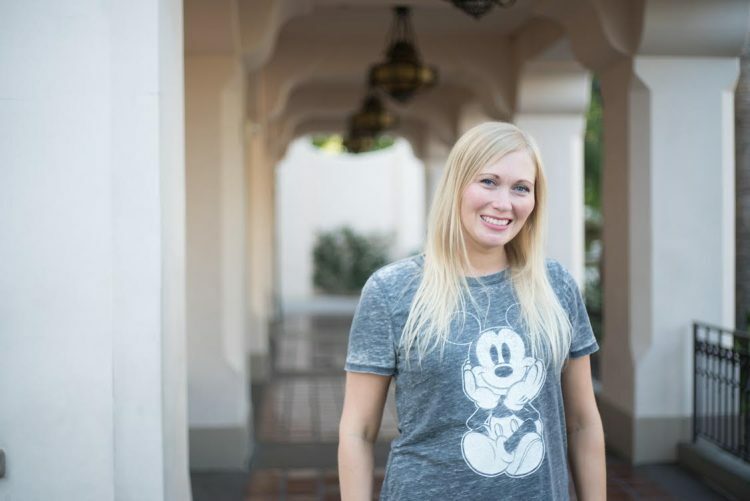 Jessica manages the Disneyland with Kids Facebook community’s publishing schedule, developing a sense of community and overseeing the moderator team. Julie Bigboy is mom to 4 in a blended family, ages 2, 6 and two 14-year olds. She is a San Diego native and familiar with many Southern California theme parks and area attractions. Julie’s site Mom Rewritten is about the little things that make a big difference, including family travel, positive parenting and healthy living choices. Parenting kids aged toddler to teen (including a child on the Autism spectrum) can be a challenge, but Julie strives to share all the inside tips about traveling with children of all different needs.Julie first visited Disneyland at just one year old and has since been a frequent visitor, vacationing at Disneyland at least once a year. Living in SoCal has its advantages so Julie and her family often take a day trip to Disneyland, driving the round-trip after a day spent at the Parks.When she does stay overnight, you can find her poolside at the Disneyland Hotel (her favorite hotel at the Disneyland Resort). Inside the Park, Julie can be seen dining at her favorite French Market Restaurant, singing along on her favorite ride, it’s a small world or nibbling popcorn (her favorite snack) while watching a parade! Julie is in charge of writing the Disneyland with Kids email newsletter and organizing our upcoming eBook. As the admin who lives closest to the Disneyland Resort she also keeps the group updated on local events, conventions and weather changes that may affect guests.